Milk Check | Page & Pedersen International ltd. The bottom line for dairy farmers is delivering significant pounds (or kilos) of components within the context of good farm management. As expressed by the Penn State Cooperative Extension Program, 'The milk business today is highly competitive. Milk producers need information on their milk components, milk quality, and market prices in order to remain competitive'. For the content of Penn State Milk Paper, please select the paper in "Related Files". Real-time milk composition results give critical information necessary to making proper adjustments in feeding and herd management. 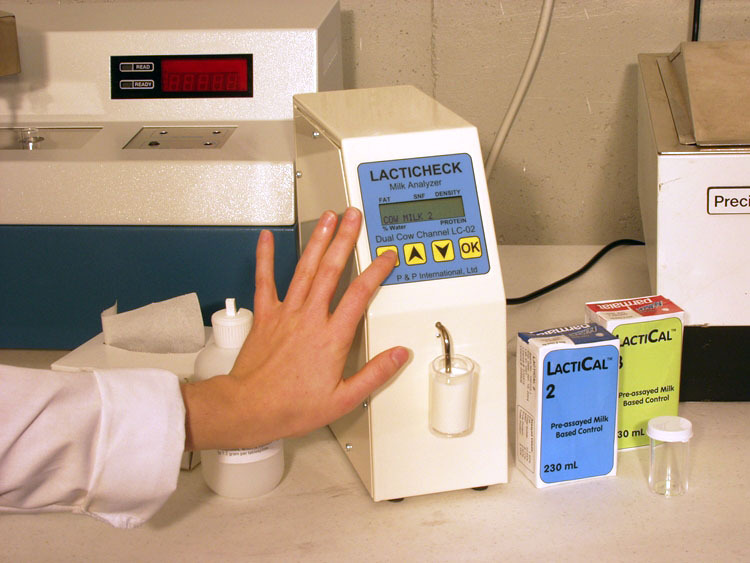 Whether you wish to test your bulk tank or milking groups, the LactiCheck Milk Analyzer provides information when you need it, where you need it, to make required adjustments to improve herd health and profitability! This data can be stored in your PC for instalt access by use of our LactiLog Software Program.